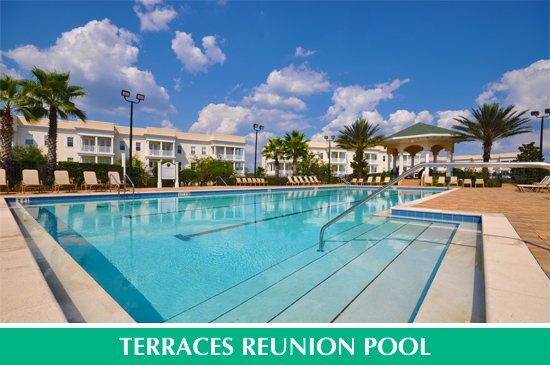 Terraces at Reunion Championsgate, Orlando offers spacious 3 Bed 2 Bath stylish condominiums with upgraded interiors and fine finishing touches. 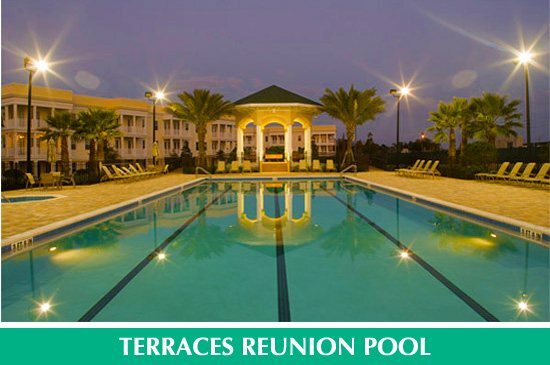 Terraces at Reunion offers a relaxing environment where you can stroll around the grounds featuring trellises, park benches and pavilions. 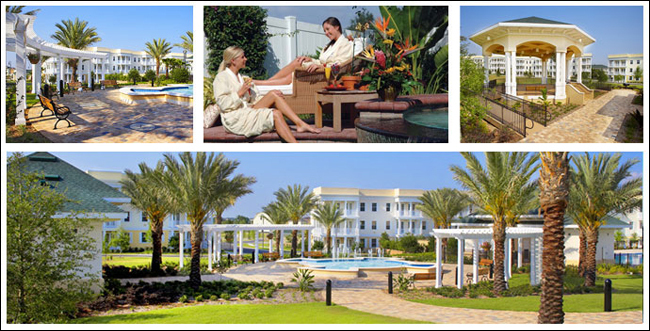 Exercise or play in the community lap pool and soak in the spa. 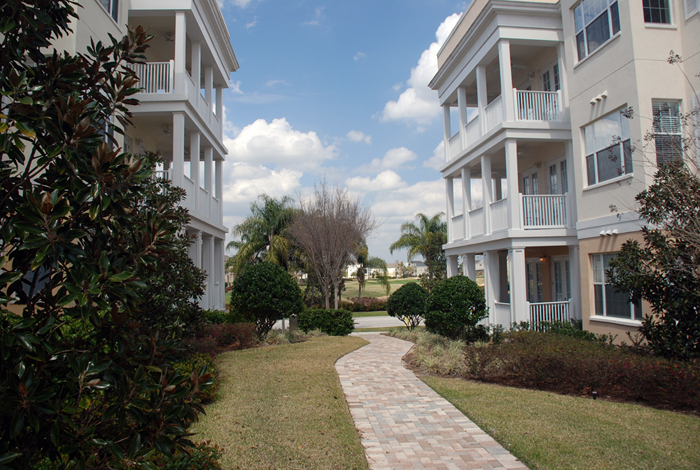 The Terraces at Reunion is an ideal location to truly enjoy the ultimate Florida lifestyle. 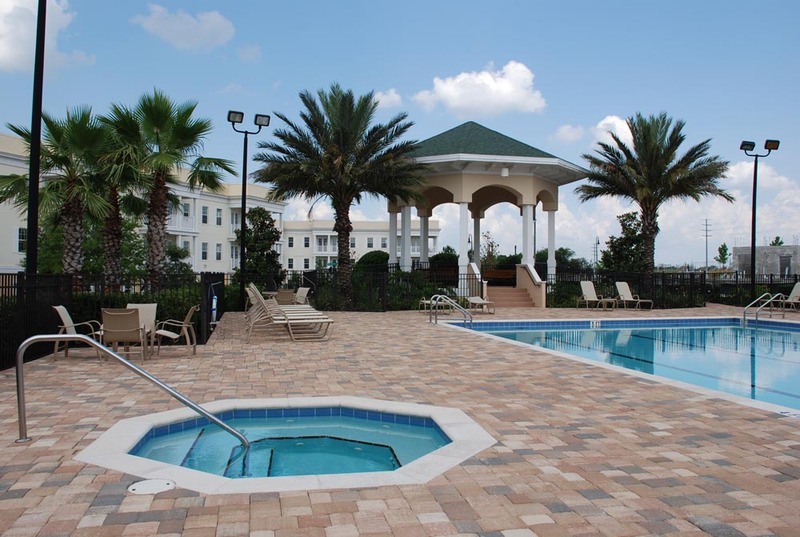 Set in an exclusive world class golfing resort, the Terraces at Reunion is only 6 miles from the Walt Disney World Resort Theme Park Entrance, 12 miles from Sea World, and 16 miles from Universal Studios. 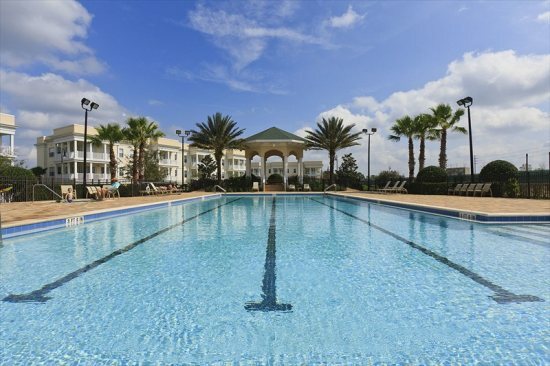 Orlando International Airport is 30 minutes away. 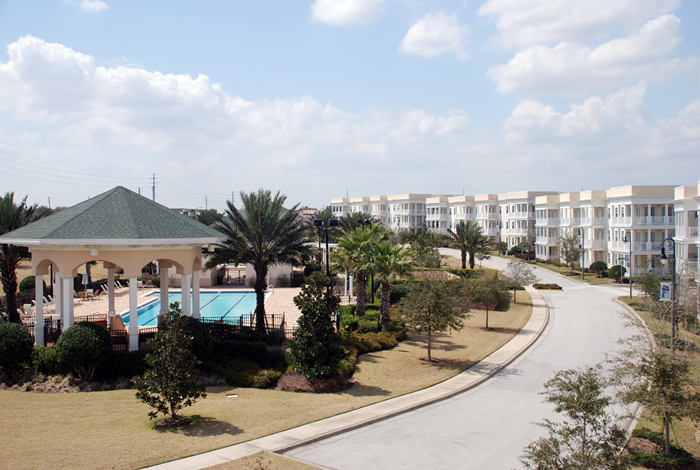 ChampionsGate is close by, and you have two shopping centers with Publix, restaurants, gas station, liquor store, CVS Pharmacy and more. 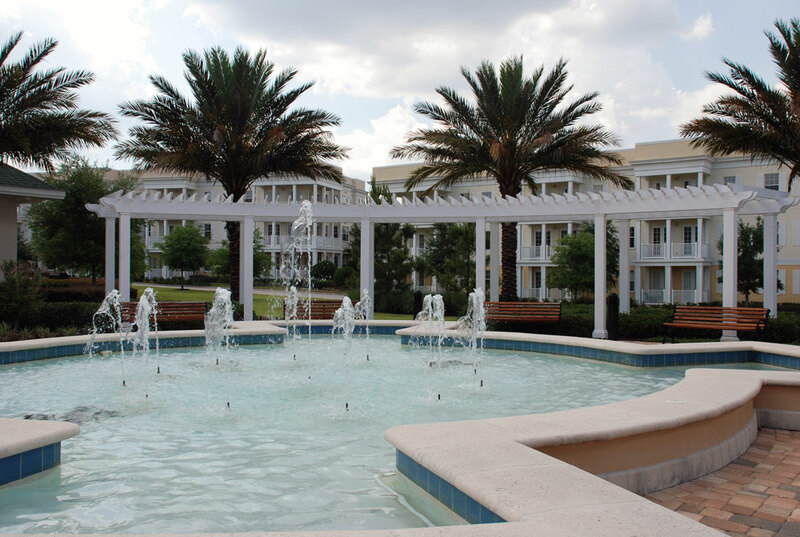 Guests will enjoy the beautifully landscaped grounds with a large fountain that supplies the smooth sounds of water and a spacious sun deck - all ideal for soaking up the Florida sun around the large refreshing pool. 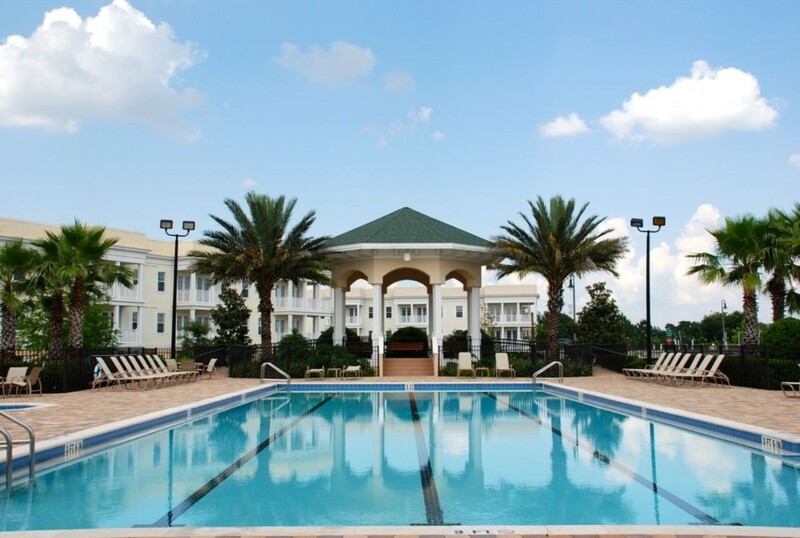 On-site amenities include a large swimming pool with two cabana bathhouses, whirlpool spa, BBQ's, picnic area with park benches, covered gazebo and a party pavilion.